Over the years, we made so many crafts with different mediums, but somehow, we always return to paper crafts! Same thing happens over holidays and we end up making so many Christmas paper crafts! From simple cut and glue, to origami and quilling Christmas themed decorations, we love to make all of them! Hi friends! Tis the season for all things crafty, right? I'm happy to have Maggy from Red Ted Art sharing with us, again! 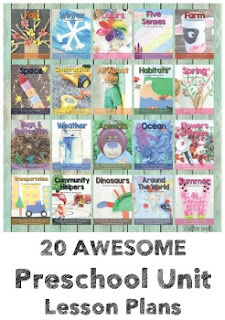 Knowing my love for children's literature, Maggy once put together an awesome collection of Story Inspired Kid Crafts. 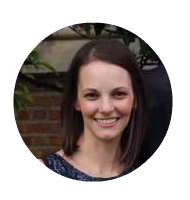 She is your gal for easy and fun crafts for the kiddos! 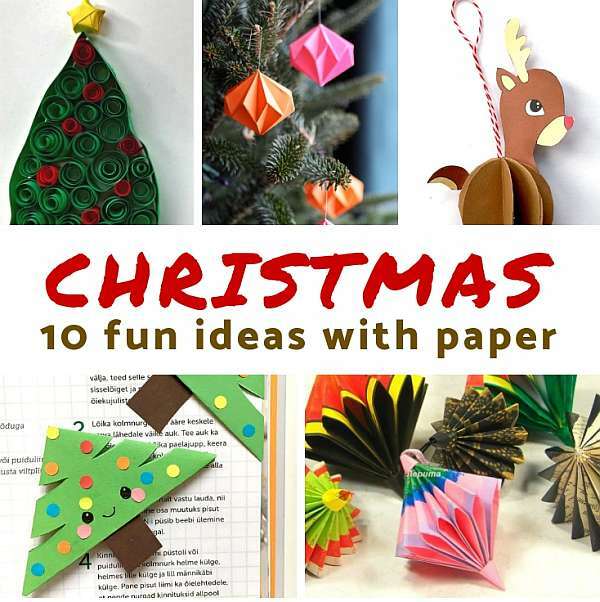 With Christmas around the corner, enjoy these Christmas Paper Crafts kids can make! Fill the tree, decorate your house, and keep the kids busy over break with these fun Christmas paper craft ideas! Christmas cards can look amazing but still be pretty simple to make. The best example is pop-up Christmas tree card. Looks complicated? It really isn’t so hard to make as it looks! Give it a try and make some with kids this Christmas! Have you tried quilling before? It’s fun and finished projects look amazing! We used it to make quilled Christmas tree card but you can use same process to recreate a number of Christmas themed items on your card! Hard to believe, but quilling has been used to make these lovely quilled Christmas tree decorations. Make them larger to use on your mantel or smaller to use as centerpieces for your Christmas table! Ahhh, we just love to work with paper! So easy to use and possibilities for projects are practically endless! Grab some of your favorite patterned papers to make loads of paper ornaments for your Christmas decorations! Have you seen this little paper reindeer printable ornament? Super cute! Print, cut, assemble and glue! And little red nose Rudolph is ready to decorate your Christmas tree. For book loving friends and family members, along with new book to read, add a personal touch to y gift with lovely Christmas tree bookmark you created yourself. They will never forget on which page they stopped their reading! Even little ones love to participate in Christmas activities. Let your toddlers and preschoolers to tear paper to scraps and then make adorable little torn paper Christmas wreaths to display on your door. We adore these 3D paper trees! They look amazing displayed as Christmas decoration even when left plain white! But of course, it’s up to you to decide if you want to add decorations on them or make them in different color to match your Christmas decor! When it comes to paper crafts, origami is must try! There are many different ornaments you can make by simply folding paper, did you know? Personally, we love the look of these 3D origami ornaments! Hard to tell they are made from paper, right? A single paper plate, some paint and decorative items and kids are all set to make their own paper plate tree craft. They will also work on their fine motor skills when lacing ribbon to connect all the pieces together. Paper is amazing as crafting medium, wouldn't you agree? It’s wonderful how changing paper you use to make your Christmas ornament from plain white to patterned can change to whole feel of the finished item! Or how you can make so many beautiful and decorative items by simply folding piece of paper! 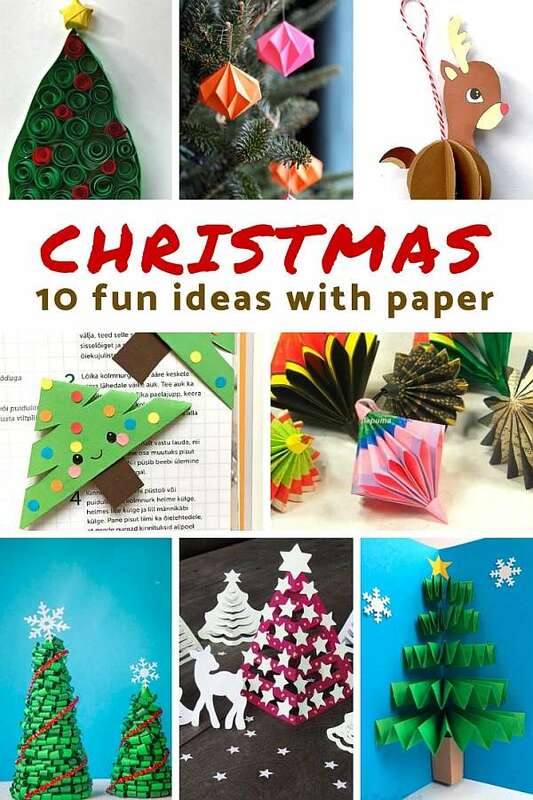 Hope you will get inspired by our selection here to make many paper crafts this Christmas with your kids!